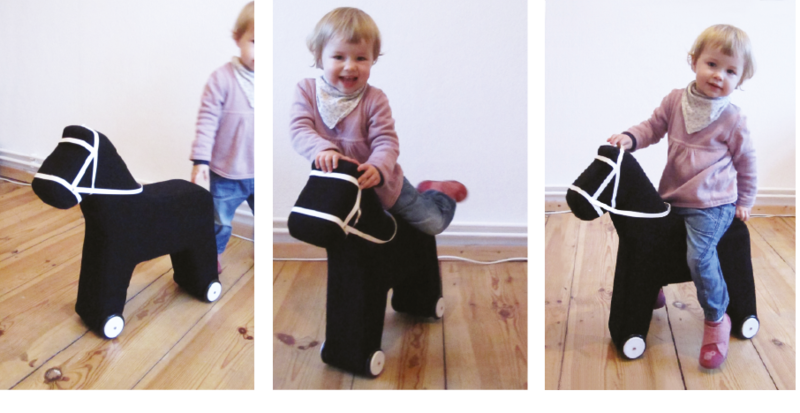 Hottehüh is a simplistic riding horse for the youngest. 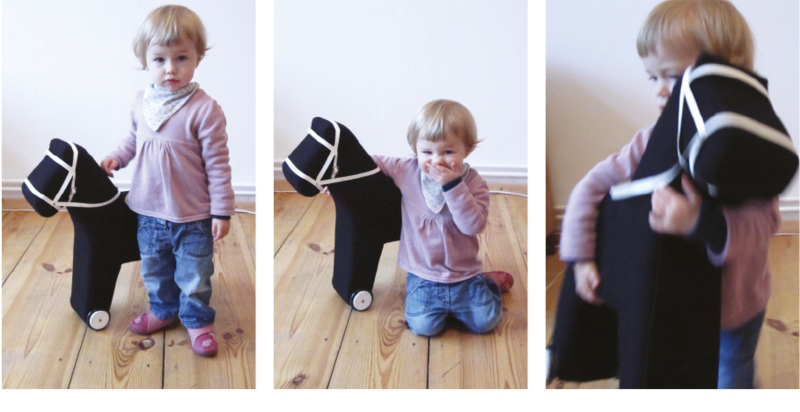 With the addition of the demountable snaffle, it delivers the most important functions of horse riding to the child. 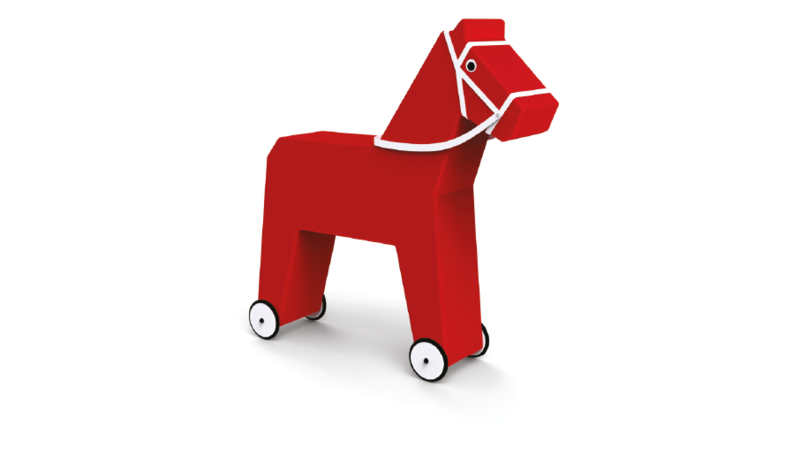 horse handling and horse riding. 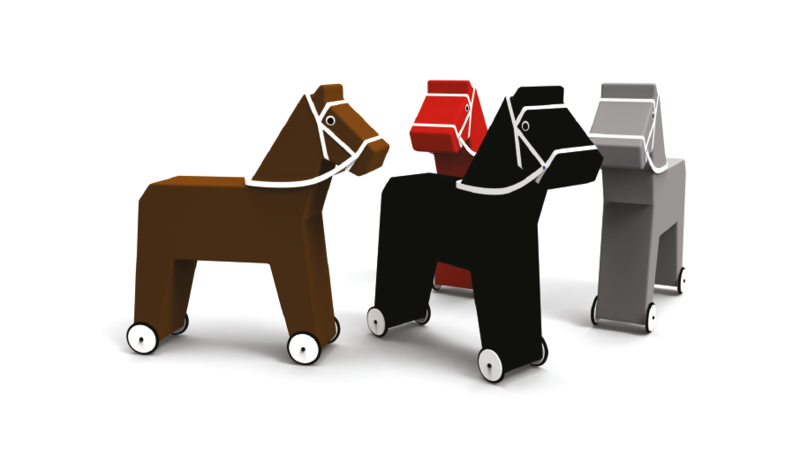 Because of the simple shape of the horses body, the snaffle can be made by a single cut out of a plain and flexible material. By fixing this cut out together within three points, adding a simple closing and some string as rains, it becomes a snaffle and a valuable supplement to the horse and the play.